Honda Jazz Privilege Edition: The Honda Cars India Ltd on Friday announced the introduction of privilege edition of its premium hatchback Honda Jazz priced at Rs 7.36 lakh to Rs 8.82 lakh (ex-showroom Delhi).The new edition comes with advanced infotainment system, interiors and exteriors and new safety and technology features, Honda Cars said in a statement.The vehicle is based on Honda Jazz V MT (Petrol and Diesel) and V CVT Petrol grade. The privilege edition has features such as dual airbags and ABS, touch panel auto AC, rear camera, alloy wheels, paddle shift (in CVT variant), among others.While the V MT Privilege Edition (Petrol) is priced at Rs 7,36,358, the diesel edition is for Rs 8,82,302. The V CVT (Petrol) is priced at Rs 8,42,089. 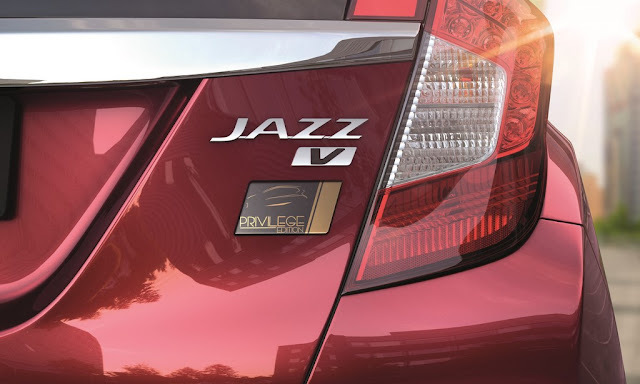 “Our festive offering of Honda Jazz Privilege Edition, with advanced infotainment, security and comfort features, is a great value for our customers at a very attractive price and strongly enhances its appeal,” Honda Cars India Senior Vice President, Marketing & Sales, Jnaneswar Sen said. Other standard features of the Honda Jazz V grade are dual airbags, ABS, touch panel auto AC, rear camera, alloy wheels, advanced multi-information combination meter with eco-Assist ambient meter rings, electrically adjustable and foldable ORVMs with turn indicators, paddle shift (in the CVT variant).